the new kids’ meal at veggie grill is free on monday! listen up, parents! take your kids to any veggie grill location this monday october 3rd and try their brand new kids’ meal v-burger on the house. 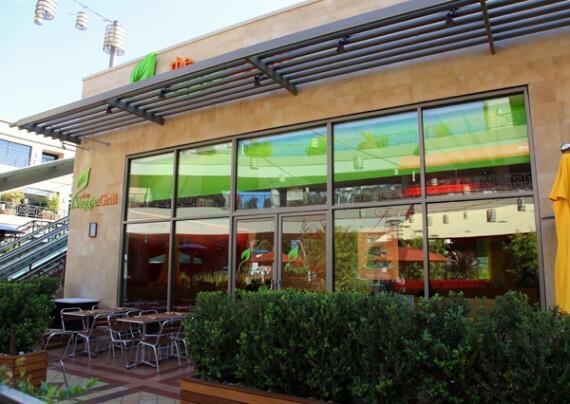 New Location: Veggie Grill® Opens Monday in Rolling Hills! Great news! 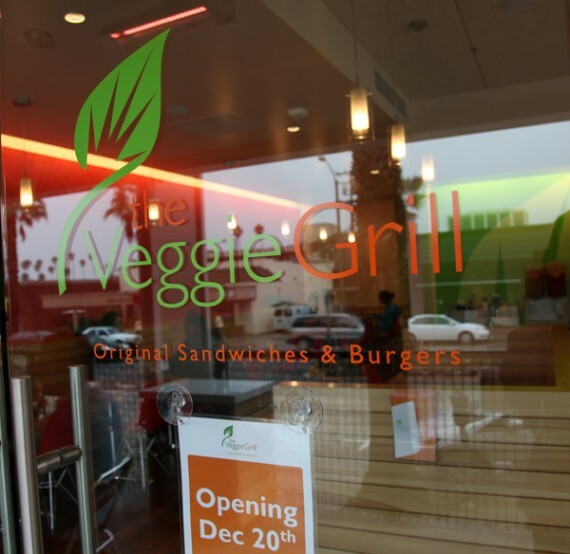 Veggie Grill®, one of our favorite fast-casual dining restaurants, is opening in Torrance on Monday at Rolling Hills Plaza (right by the AMC Movie Theater) just a stone’s throw from PCH, easily accessible from Palos Verdes, San Pedro and even Long Beach. 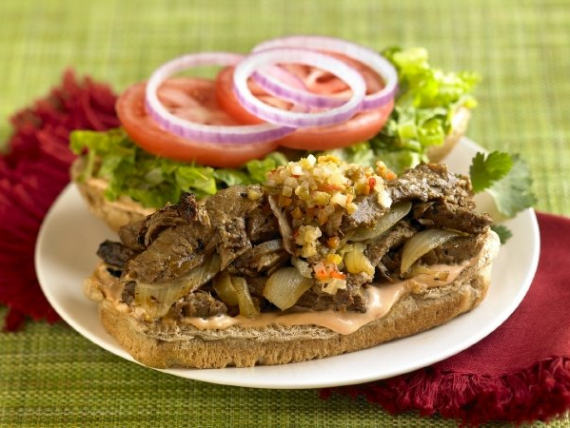 To call Veggie Grill® “The Perfect Indulgence” is an understatement – with a signature blend of hearty veggie proteins and savory marinades, all their food is indulgently satisfying. 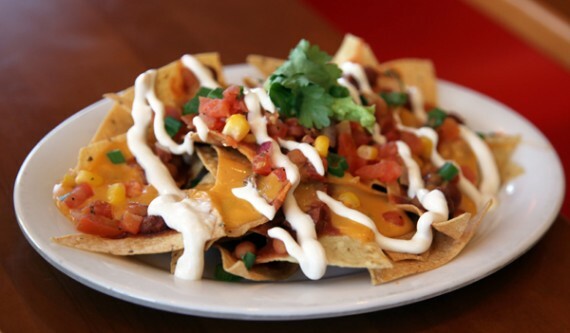 newbies eat for free on thursday at veggie grill! 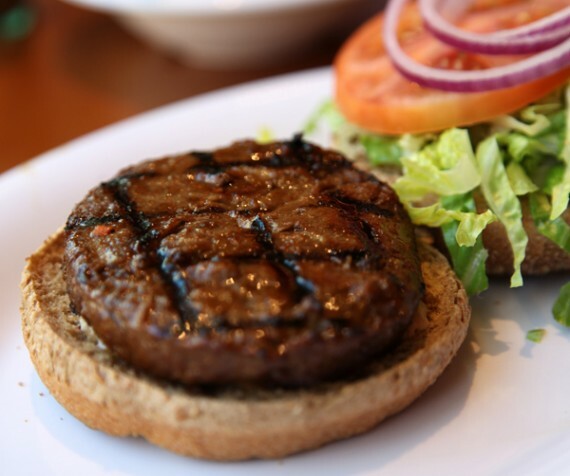 know someone who hasn’t tried veggie grill yet?! (what, are they CRAZY?) well if you do, bring them to any of the 4 locations on thursday october 28th, and they’ll eat for free. everyone should get a chance to eat this burger in life. good news, everyone! 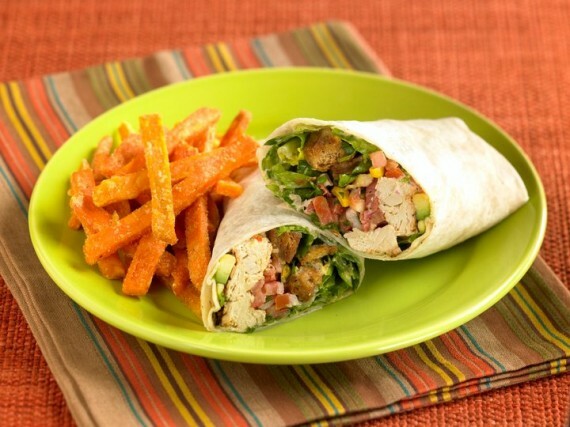 the chickin’ caesar wrap that was recently removed from veggie grill’s menu IS BACK starting today! this wrap is amazing, and there was an outcry when veggie grill stopped selling it. i am so glad they have come to their senses and decided to offer it again. please go eat this thing ASAP, i really don’t want to see it go away again!! beer and wine now at veggie grill sunset! it took them a little while to get their license, but as of yesterday, the veggie grill on sunset is finally serving up bottled beer as well as red and white wine. they currently have 2 beers from new belgium brewing (fat tire and mothership wit) as well as both red and white wine from mas. i dropped by this afternoon and grabbed a bottle of the mothership to accompany my lunch, and while it wasn’t my favorite beer on earth, it was definitely pleasant. lately, i just can’t get enough of the soup and salad combo at veggie grill. 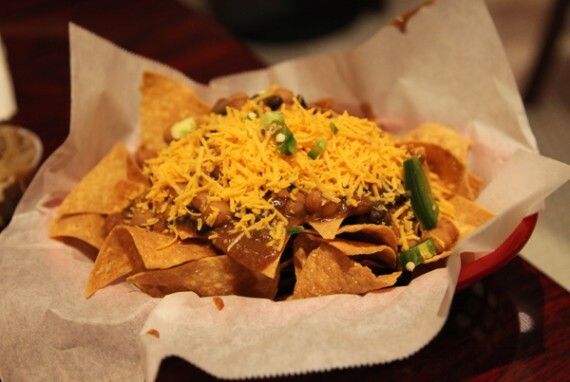 for only $8.50, it comes with a huge bowl of chili or soup of the day, along with a healthy portion of the salad of your choice. 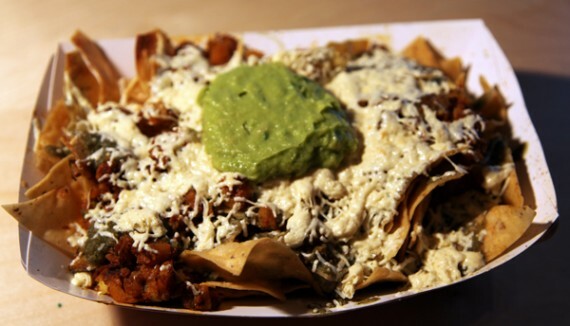 i order this all the time, and i rarely finish it—it’s so much food! chop-chop chef: chopped romain, tempeh, veggie steak, chillin' chickin, green onion, roasted corn salsa with a chipotle ranch dressing. 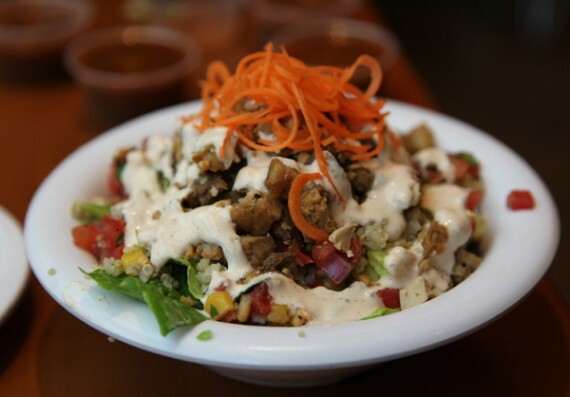 i have tried a bunch of the salads at veggie grill, and my favorite one by far is the chop-chop chef. it comes fully loaded with two kinds of gardein meat, fluffy quinoa, tempeh and vegetables all in a creamy ranch dressing. seriously, it’s soooooo good. even just the side salad that is served with the combo is pretty big and filling on its own…and i haven’t even gotten to the chili yet! 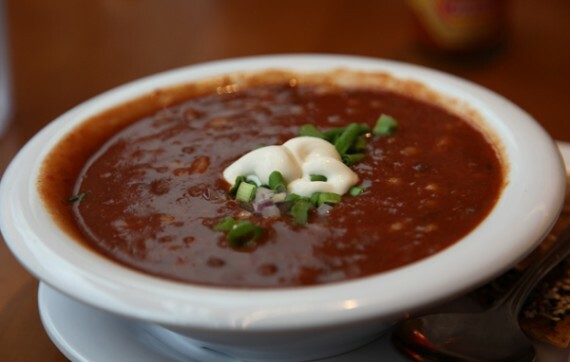 bean me up chili: red and white beans, touch of soy cream, chopped green and red onion. 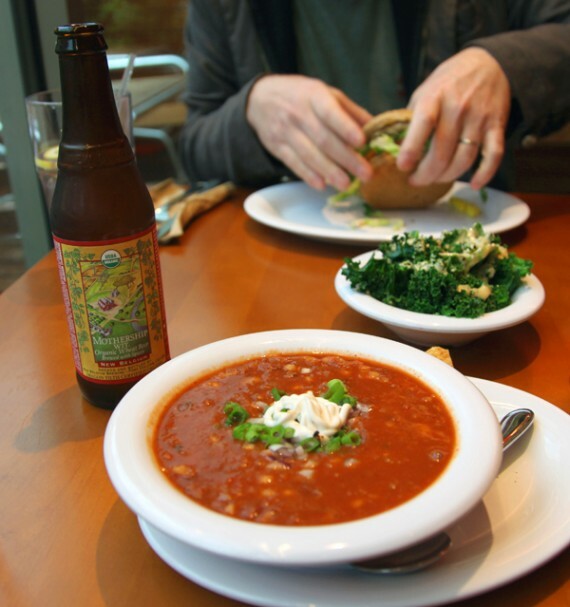 i am a huge fan of the chili at veggie grill, so that’s almost always what i get with my combo. it doesn’t have any fake meat in it; instead it’s just a rich flavorful mixture of red and white beans garnished with soy sour cream. 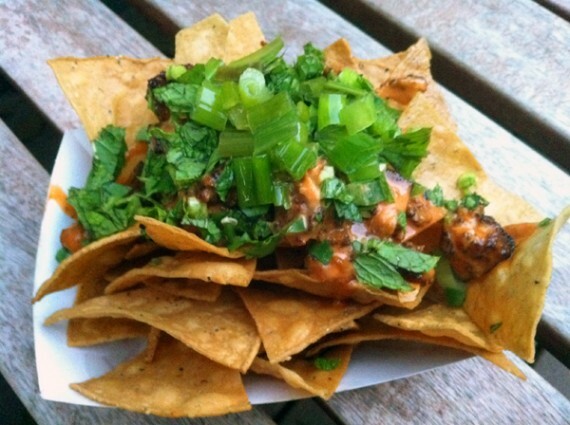 the serving with the combo is generous, and it even comes with a side of delicious herb toasted crisps (not pictured). i could seriously eat this soup/salad combination every single day. it’s so tasty and so filling, and it’s under 10 dollars. what more do i require?! 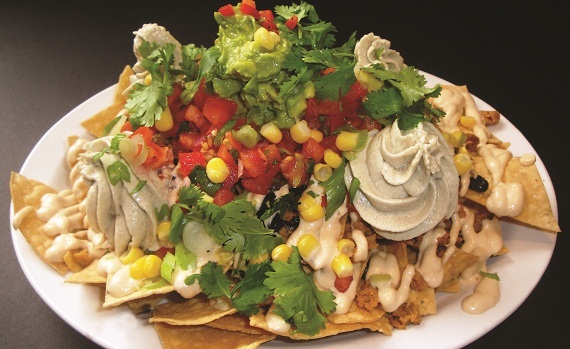 vegan cheese coming to ALL VEGGIE GRILL LOCATIONS TOMORROW!!! 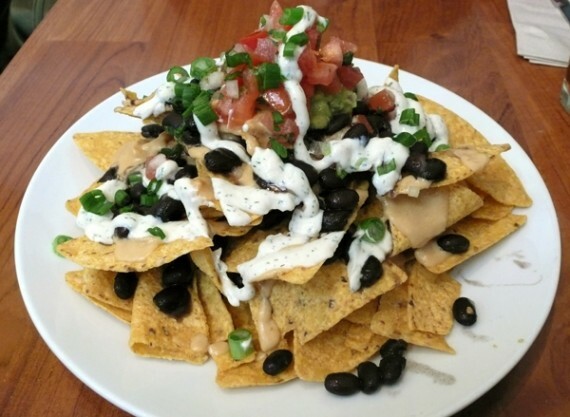 UPDATE 1/29: the vegan cheese will be available at veggie grill TODAY! yay, this is such great news!! 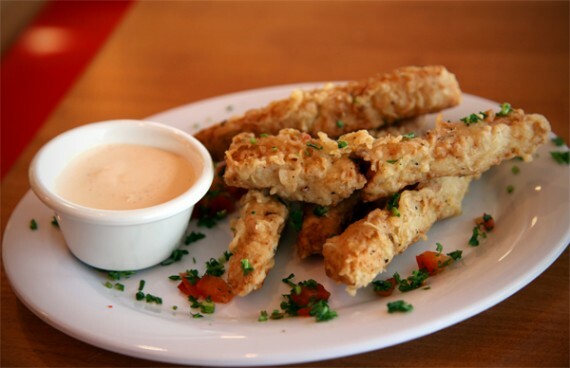 veggie grill has been testing out some amazing vegan cheese at its el segundo restaurant and has finally decided to offer it at ALL locations starting tomorrow!!! there is no excuse not to dine at veggie grill tonight, because they are offering an insane deal that is way too good to pass up. can you believe that?! all you need to do is bring someone who has never been to veggie grill before (preferably an omnivore, muahahahaha) and they eat for FREE. this is one of the greatest deals i’ve ever heard, and a great way to expose non-vegans to the insane meaty animal-free goodness that is veggie grill. but that’s not all! 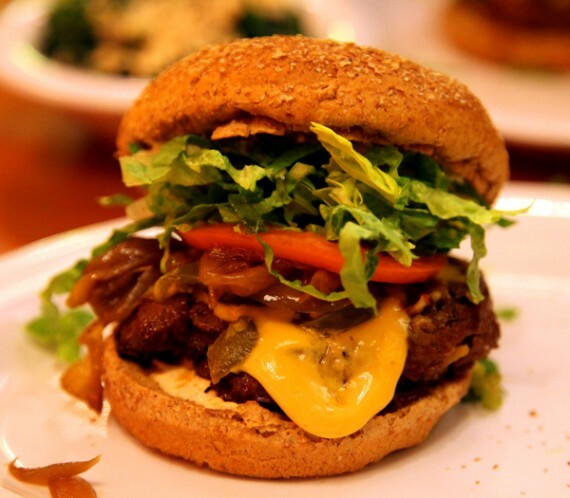 if you do dine at veggie grill tonight, i highly encourage you to go to the west hollywood location at 6:30pm. because at that time, kcal news is going to be there filming, and they have been real doubters regarding the commercial viability of a vegan restaurant. let’s show them that early on a tuesday evening, a vegan establishment can be PACKED. so there you have it, free food at veggie grill tonight and a chance to spread the veganism. do it!